Oh, y'all must've thought she wasn't gonna make a return to the music scene? You definitely thought wrong! The beautiful Ezi Emela is back like she never left, and we're loving this new sound she brings forth. Ezi who debut her first single ‘Catch My Heart’ in 2012, and is known for her other Brit/Afro-Pop genre meshing records such as ‘Secret Lover’ and ‘Feeling Good’, has now returned on the scene with a whole new sound on her new single ‘Broken’. ‘Broken’ is the first of many releases to come from Ezi Emela this year who captures the essence of her vulnerability and turning it into one of her most profound strengths, ‘Broken’ sees Ezi Emela coming into her own as a passionate and consummate songstress. With Ezi's new single comes the new video to ‘Broken’, shot across London earlier on this year - and directed by Director Q, ‘Broken’ strips everything all away and opens Ezi Emela up to her listener, signifying an expressive primer into the brave new world of Ezi Emela. 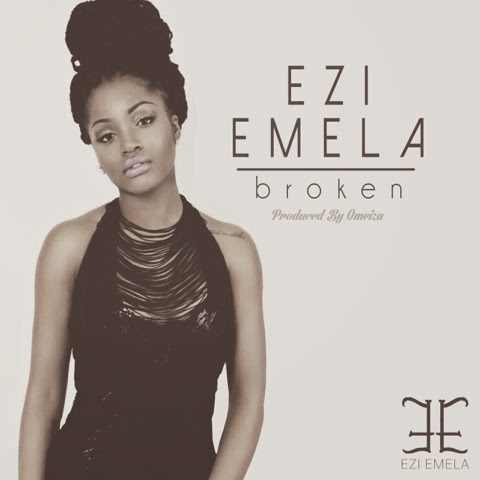 I can't help but look at how beautiful Ezi Emela looks in this video - I just wish she had kicked over a table, shook a table, smashed a glass plate or cup into the wall and got mad at something or someone, then broke down in tears to show off how broken she really was. She played it safe. ‘Broken’ is a nice song that shows Ezi growth and portrays the personal life changes she has made, as well as her new outlook on life and new path she's about to take both spiritually and musically. All of these elements combined, create an ingenuity and sincerity that epitomizes the artist that is Ezi Emela - her writing, her sound, her artistry.